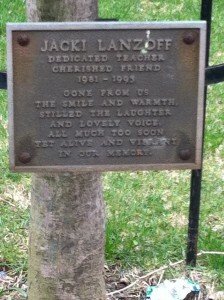 Who: Jacki Lanzoff (1981-1993) a dedicated teacher that had a made a difference in the school. 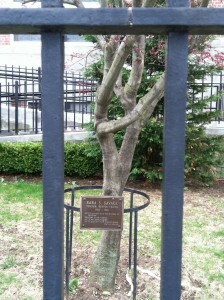 Jacki was a teacher, a mentor, a coordinator, and friend. 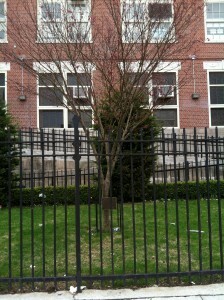 She change lives of many student and staff, through her dedication to teach and most important helping those around her. 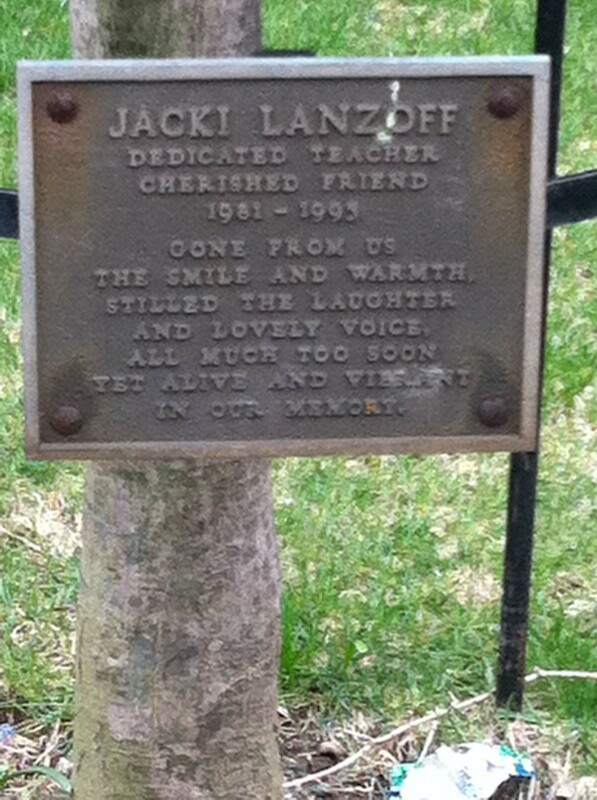 For this reason, I believe when a teacher is been honored is because that teacher must have been a role model, and Jacki Lanzoff was a role model. 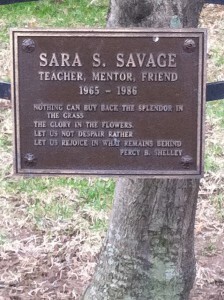 Who: Sara S. Savage (1965-1986) was also a dedicated teacher, mentor, and friend that had made a difference in the school. 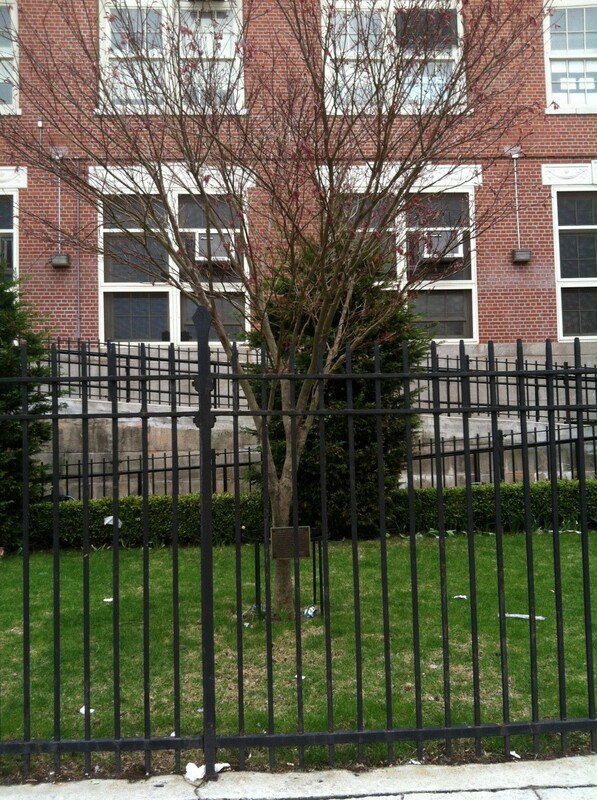 Sara tree was the first one to be planted by fellow staff to honor teachers for their hard work and achievements. 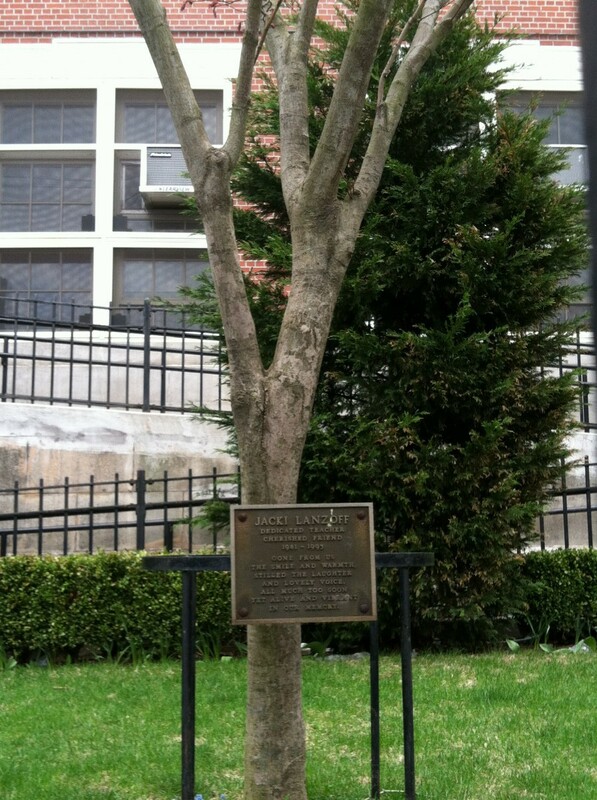 Her tree impacted me the most, because is the only tree that has a quote “nothing can buy back the splendor in the grass, the glory in the flowers, let us not despair rather, let us rejoice in what remains behind” by percy B. Shelley. 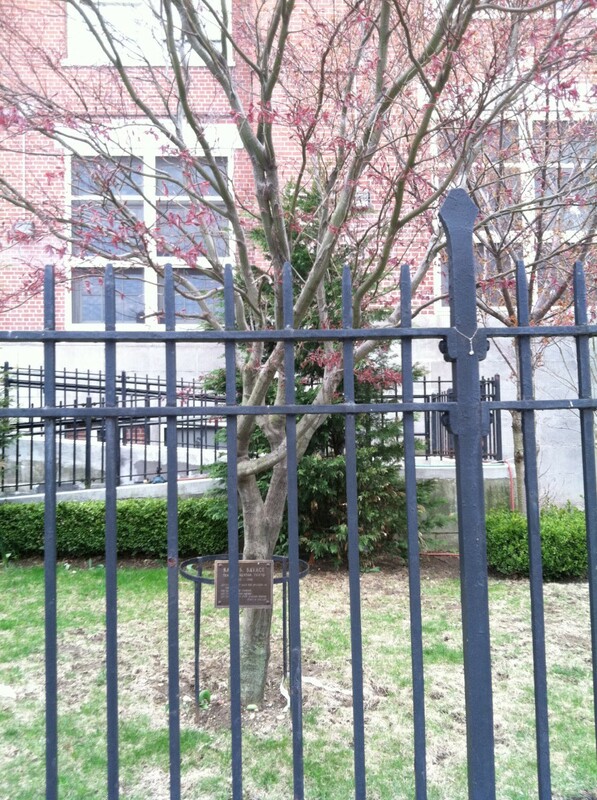 For this reason, it seems like Sarah enjoy being outdoors, and love nature and gardening, that she started a trend within the school to plant trees to honored deceased teachers who has made a difference in the school. This entry was posted in Uncategorized on April 30, 2014 by LizMarte. 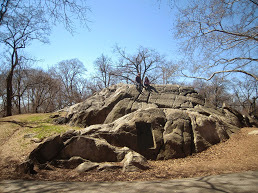 One block from my apartment is a huge attractive nuisance of a rock pile in Riverside Park at W 82d Street. Every child who visits chez Donsky feels compelled to climb the dangerous rocks to my great dismay. 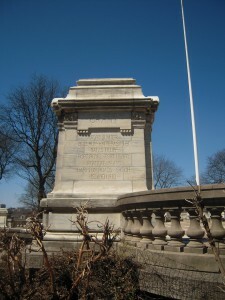 Deeply embedded at the base of the rocks is a bronze plate commemorating Cyrus Clark (1830-1909). 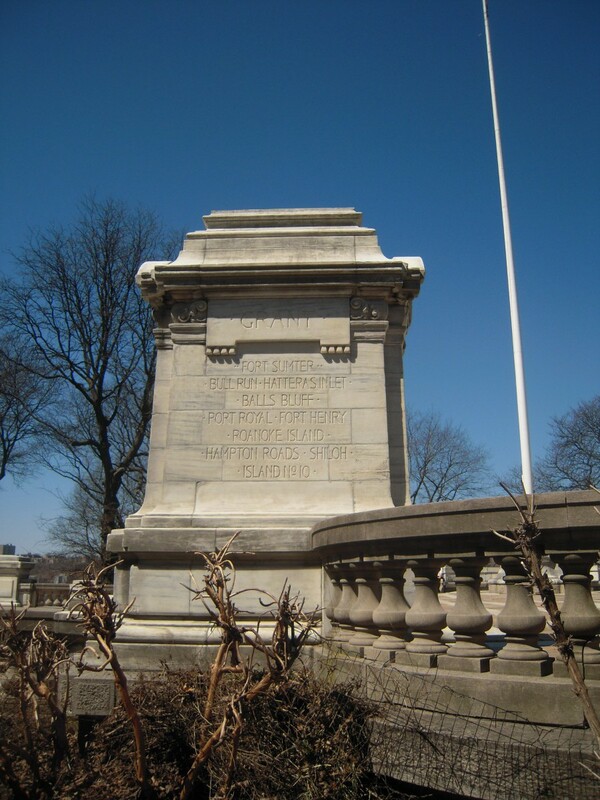 Clark was a prominent businessman who lobbied for the interests of our neighborhood. 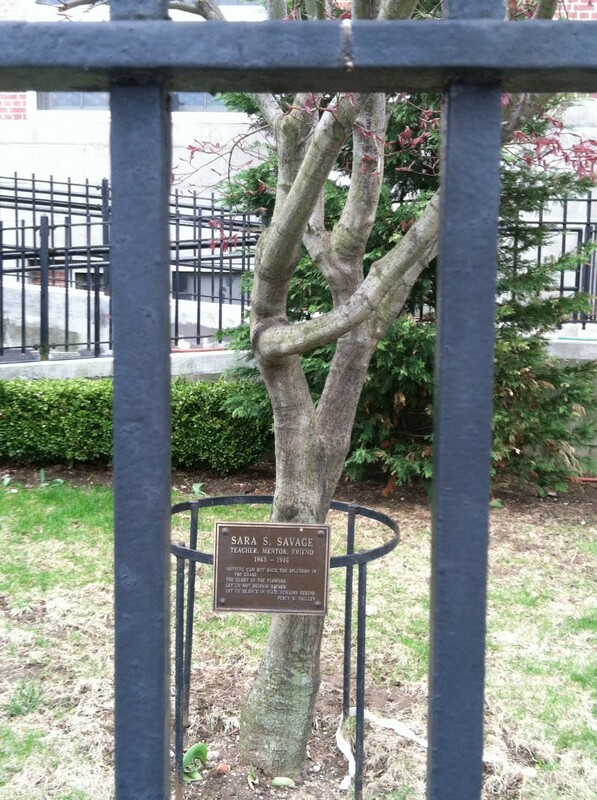 A neighborhood association dedicated the plaque to him in 1911. 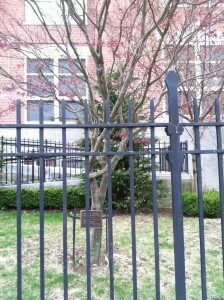 I like this plaque because it is so substantial, so deeply embedded in the giant rocks. 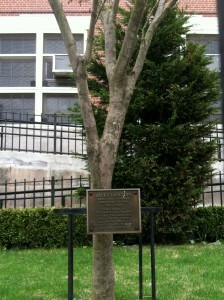 Thousands of years from now when New York City is entirely under water, archeologists will find this plaque dedicated to a man who is not even given a mention in Wikipedia.